Private wills, probate and estate planning services to the local community and also has commissioned work from other law firms. Trading for 12 years, sale forced due to imminent retirement. Turnover IRO £80,000 PA with net profit at 50% on last accounts. No current or expected litigation and minimal risk to business. Would suit a lawyer looking for a lifestyle change, serving local clients and enjoying Cornwall and neighbouring areas. They offer a full range of private client work focusing on: Preparation of Wills; Allied Estate Planning; Preparation and Registration of Lasting Powers of Attorney; Registration of Enduring Powers of Attorney; Applications to the Court of Protection; Administration of estates, both testate and intestate succession; Administration of Trusts; All allied tax matters and, where necessary, allied Land Registry applications. Estate Administration Services – This part of the business commenced in April 2002. 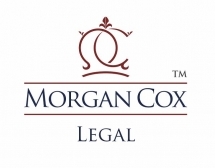 The services which they offer are Probate caseload help to firms of Solicitors in England and Wales. They deal with all aspects of estate administration work, including: Drafting correspondence for use by Solicitors; Preparing applications for submission to the Probate Registry in connection with both testate and intestate succession; Preparing allied IHT papers, in particular IHT205 and IHT400; Completing IHT calculations; Preparation of Estate Accounts and allied tax forms and returns; Advising Solicitors on complex administration and tax issues; Advising Solicitors on applications to the Probate Registry where the Deceased died domicile outside England and Wales and also the preparation of allied forms for submission to HMRC; Drafting supplementary documents, for example, Deeds of Variation, Deeds of Appointment of Assets and Deeds of Retirement and Appointment of New Trustee. Contact us if you are interested in this legal practice for sale.